One of the more interesting demographic trends playing out in Australia in recent years is the slowing rate and volume of growth in Queensland. 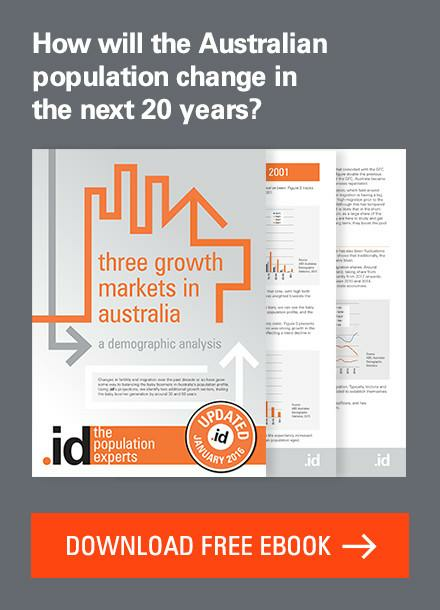 Throughout the 2000s, Queensland’s population growth rate often exceeded 2% per annum and it was one of the fastest growing States in Australia. However since 2010 growth has slowed considerably, but surprisingly, this significant demographic shift has not been given much attention. 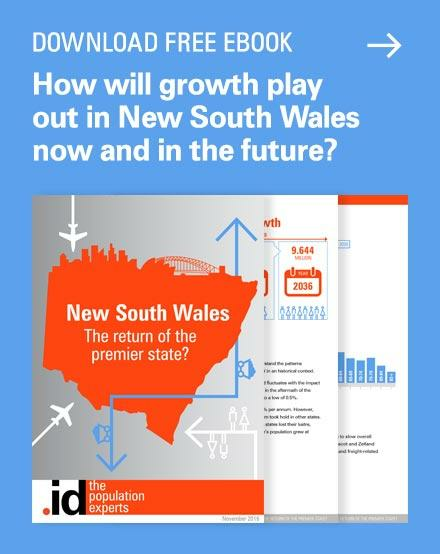 In light of the recent release of population estimates by the ABS, let’s have a closer look at what is happening in Queensland. 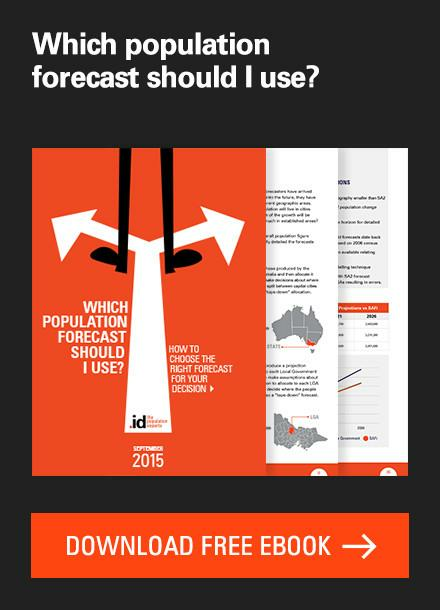 In June 2014, the population of Queensland was estimated to be around 4.72 million, an increase of 1.5% the previous year. In terms of volume, the population increased by 70,535 persons. This is the lowest level of growth recorded in Queensland since the early 2000s. From the early 1990s and up to 2006, Queensland was the fastest growing State in Australia. Though the growth has been strong, there has also been some variation. The peak growth rate in the last thirty years or so was 3.5% in 1980-81, and the lowest – aside from the 1.5% recorded in 2013-14, was also 1.5% recorded in 1997-98 and 1998-99. The graph below shows how the components of population changed have varied over the last thirty years or so. For many years, net interstate migration was the driver of population change in Queensland, but since the mid 2000s it has declined considerably, from some 38,000 persons in 2003, to just 5,750 persons in 2014. Since 2009 net interstate migration to Queensland has not exceed 15,000 persons per annum. At the same time net overseas migration has increased – but this broad comment should be considered in a relative context. After 2006 net overseas migration to Queensland increased but this was also in line with nation wide trends and was partly due to methodological changes introduced by the ABS. Net overseas migration hit a peak of almost 60,000 persons in 2009 but it has sharply since that time. It is interesting that the decline in net interstate migration occurred when net overseas migration was increasing, but it would be incorrect to assume that one has replaced the other – more it goes to show how volatile levels of migration can be. Consider the relative stability of natural increase (births minus deaths) and how much longer it takes for this component to change – the major change occurred from 2004 onwards when birth numbers increased considerably. Where is the growth occuring? Queensland has a different LGA structure to the rest of Australia with only a small number of councils in their major urban centres. 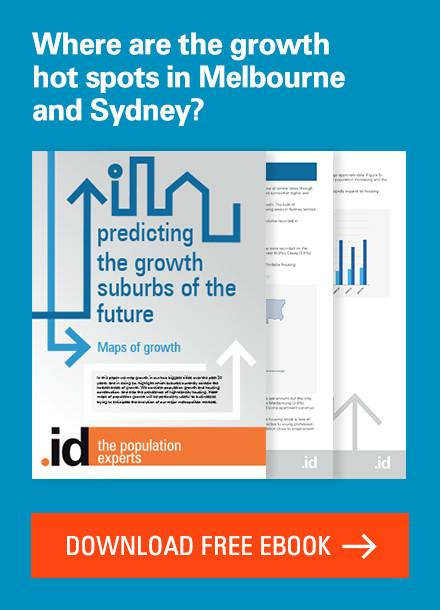 This tends to distort the picture when the volume of growth is considered, because the sheer size of the City of Brisbane tends to eclipse what is happening at a more local level. 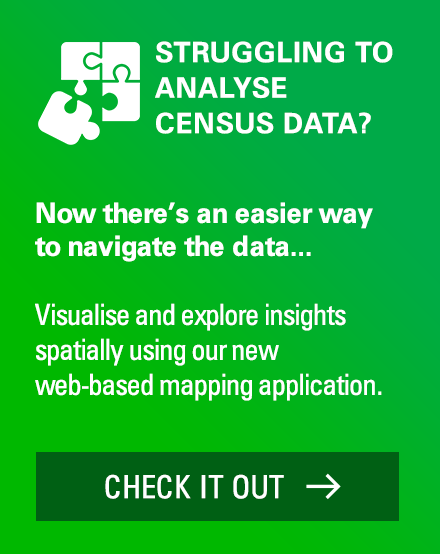 This is where the SA2 data does provide a good spatial alternative to the story of population change. Regardless, the table below shows the LGAs in Queensland that have recorded the highest volumes of growth in 2011-14, and compares these to the volume recorded in 2008-11. Although this table only looks at the top ten LGAs ranked by growth in 2011-14, it is clear that in most cases the volume was less than that recorded in 2008-11. But these are also very large LGAs. Moreton Bay Region is the most extreme example with around 5,000 less persons added to the population between 2011-14 compared to the previous three years. Nevertheless, the average annual growth rate is still 2.3% which is well above the Queensland average. The volume of growth in Gold Coast, Ipswich and Cairns was also notably less in 2011-14 compared to 2008-11. Again, it should be stressed that the rate of growth in these LGAs is still above the Queensland average, it’s just that they have declined from high levels to a level that is still high – but not as high as it once was. On the other hand, Gladstone Regional Council has experienced more rapid growth in 2011-14, associated with increased mining, construction and transport related activity. Since 2011, the annual growth rate has been in excess of 3.0%, one of the highest rates in Queensland. Gladstone stands out here as the smallest LGA in the top ten, so it will be interesting to see what happens in this part of the world in line with changes to the demand for coal and other resources. Only 14 LGAs in Queensland lost population between 2011 and 2014. Overall the losses were extremely small, with the largest loss of population recorded in Hinchinbrook, and even this amount to just 276 persons. In percentage terms, annual average population loss was in the order of 1.0% or less. Such was the growth in Queensland during the 1990s and early 2000s that there was talk (generally by Queensland politicians) of the population eventually overtaking Victoria’s to become the second largest State. 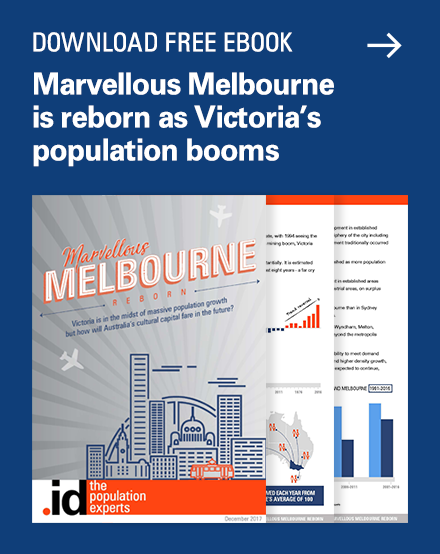 OK so many Victorians moved to Queensland in the early 1990s. But how times have changed! Western Australia is now the fastest growing State, and with Perth’s population recently reaching the two million mark, there might well be speculation that Perth might overtake Brisbane’s population. But I digress. 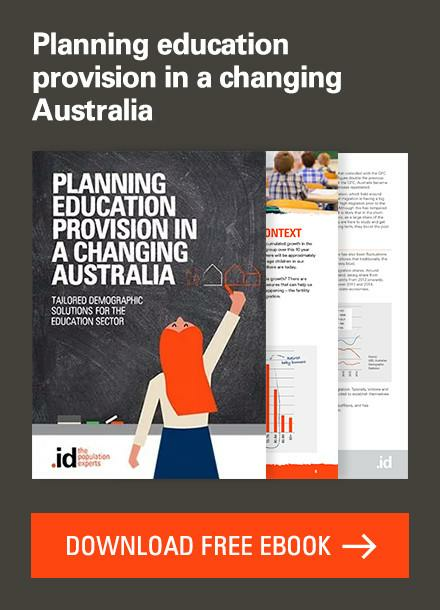 My point is that long held perceptions about population growth and change in Australia need to be considered in light of current data and this is where the power of the evidence base eg Census and other ABS population data, continues to be displayed. Queensland’s growth may have slowed and the components of growth have shifted, but there are still pockets of strong growth. It is still the Sunshine State and there are no metaphoric dark clouds on the horizon. Even though Queensland is recording lower population growth, it should not be interpreted as a mass exodus of people from the State. 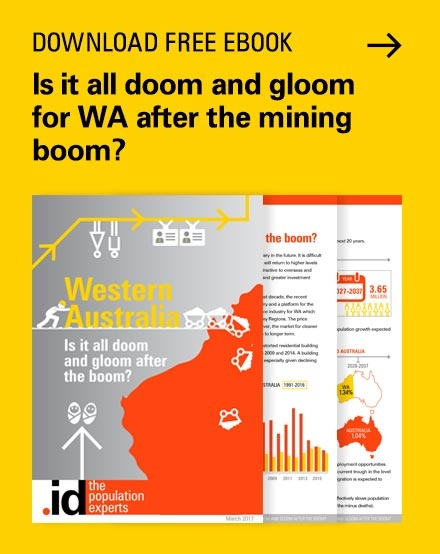 The devil is always in the detail and there are many parts of Queensland that continue to grow strongly – just not as strongly as it has in recent history. I can vouch for the slowdown in Queensland since 2013 when I moved my IT business up here from NSW. It has been near impossible to make sales in Southeast Queensland and jobs in Southeast Queensland are very scarce. Moreton Bay especially is shrinking I would say as 10% of Moreton Bay jobs are in Brisbane or Sunshine Coast. There is not enough businesses in Moreton Bay to support the population.